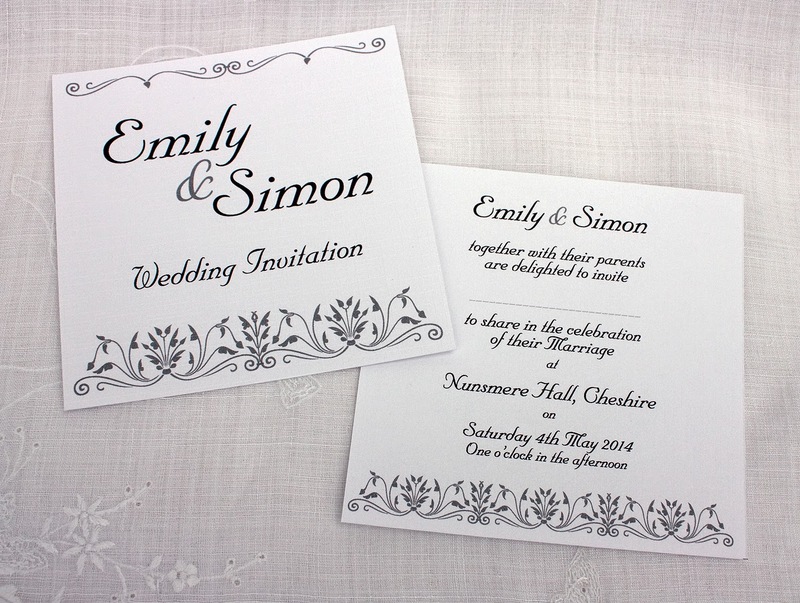 Featuring a border of foliage, the Emily design has a contemporary yet slightly art nouveau feel to it. The type style here compliments well with the border design. 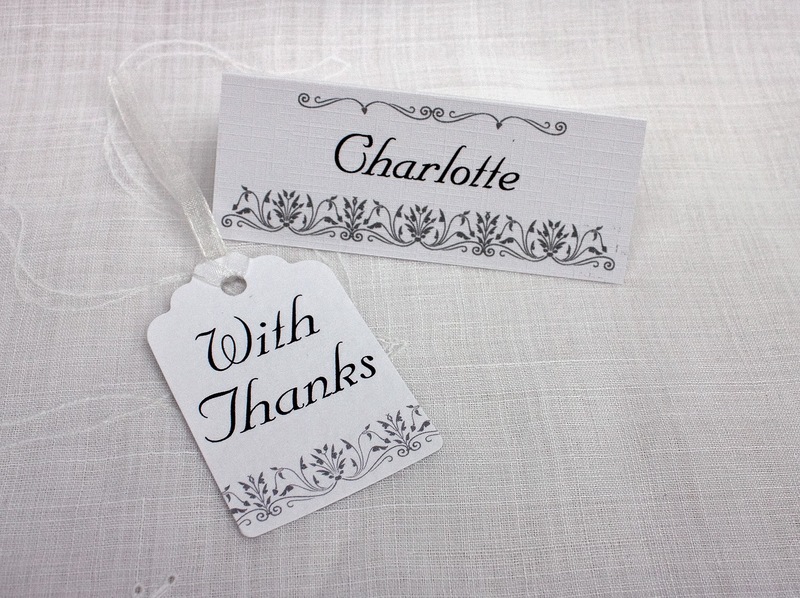 The invitation is a single piece of hammered effect, white card that has been printed on both sides.